We are proud of the quality of the fishing that we have to offer - all for just £55.00 per year (full adult). 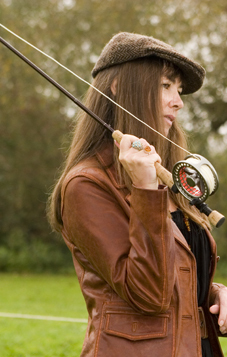 Members can fish a quality salmon and sea trout river that regularly produces double figure fish. If you are new to river fishing and are thinking of joining PAA, please contact us and we will arrange for a committee member to show you the River Loughor and it's various access points. PAA welcome lady members, and offer a discounted annual membership fee of just £27! Note: all permits are posted to members ASAP. All of the above will be subject to any alterations only by the Annual General Meeting. All members must hold a current Environment Agency rod licence. * Salmon and sea trout licence covers non-migratory trout and coarse fish too.